Dyslexia is not a disease that needs curing. It is a different way of thinking and learning, which can pose problems when symbols such as letters and numerals are encountered. Dyselxia can, however, be corrected through the tools and solutions provided within a Davis™ Programme. How is the Davis™ method different from other approaches? The Davis Correction Programme® addresses the root cause of dyslexia. It corrects the learning disability using the individual's strengths, thinking and learning style. It allows dyslexic students to create meaning for themselves, rather than using rote exercises or phonics. It is drug free, allowing individuals to take control of their learning without the use of medications. And best of all, it is fun! What are the key aspects of the Davis Dyslexia Correction programme? This allows individuals to perceive accurately and to turn off the thought processes that cause misperceptions. Davis Symbol Mastery enables the picture thinker to create meaning for themselves using a visual approach. Using clay the individual eliminates any confusions with the basic symbols they encounter in reading, such as the alphabet and punctuation marks. They then master the ‘non-picture’, abstract words by creating the meaning as well as the word in clay. Will the programme be tailored to the needs of the individual? 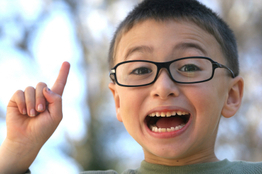 Who can benefit from a Davis Dyslexia Correction Programme? Adults or children over the age of eight years. The individual must be motivated to complete the programme for themselves, not to please someone else. Can the Davis method help solve many types of learning problems? What can a client expect to gain from a Davis Dyslexia programme? The ability to recognise and correct disorientations. The ability to become and remain focused. The ability to control energy and stress levels. The ability to eliminate confusions in words and symbols. Increased self-confidence and ability in reading, writing, maths or physical skills. An effective method of learning that can be used throughout life to suit their learning style. What happens after a programme? After a Davis Dyslexia Correction Programme the individual must master a list of 217 trigger (non-picture) words in order to eliminate the confusion(blank pictures) associated with them. Follow-up support is also included as part of the programme. Where do you provide your programmes from? Melanie works from her premises in Halswell, Christchurch. Most individual programmes will take place there. However, she is more than happy to consider traveling to provide a programme – around New Zealand or overseas. If you have any further questions or are interested in finding out more about the Davis Programmes or general tutoring, please contact Melanie Curry from Optimum Learning to discuss a programme or book your no-obligation, free Initial Consultation. Answers to FAQs that relate to the Davis Programmes are derived from material originally published on www.dyslexia.com © DDAI - used with permission.